It’s a New Year so that means new wallpaper, right? 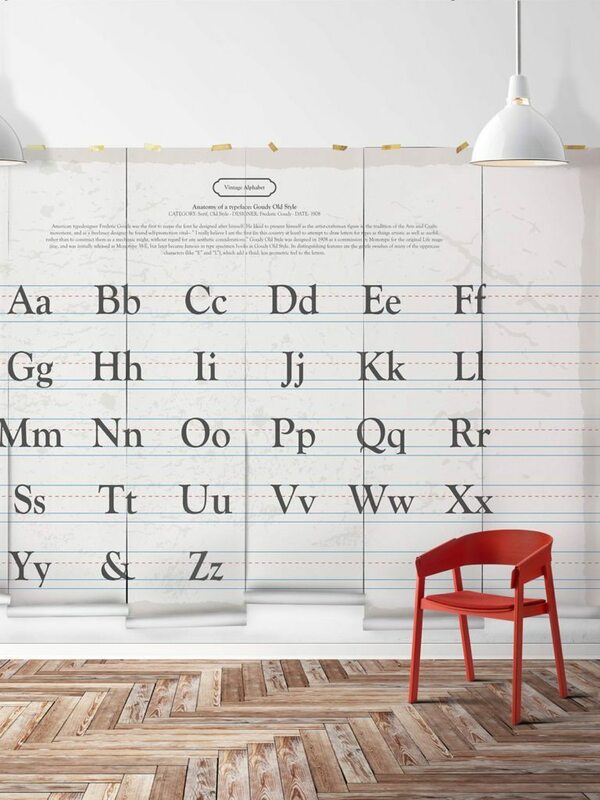 If you’re looking for a way to revamp your walls with a unique and tasteful twist why not dive into the world of typographic wallpapers! We’ve picked our top 5 that are sure to add a little spring to your step as you bring your walls back to life this New Year. Treat the hopeless romantic within you with Love. This beautifully sentimental mural is perfect for your lounging area, child’s room or really anywhere you want to create a loving atmosphere. Not only is it a great daily reminder for all of us who are fully-grown but it’s also a wonderful statement for children to grow up with splattered on their walls. Back to work blues have you wishing for a coastal visit already?  Why not bring the coastal vibes to you every day with East Coast Surfboards. 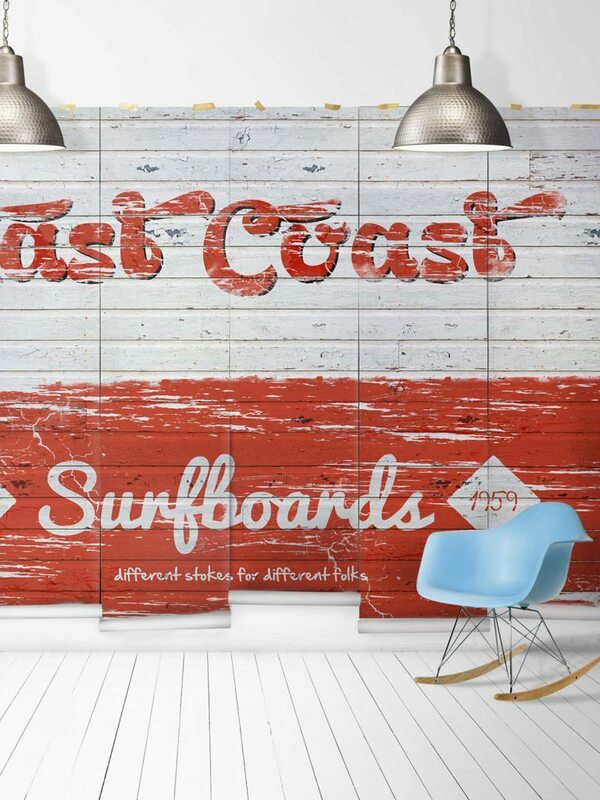 The vintage, industrial vibe of the typography and the old surfboard panelling is sure to leap right off the walls and create a relaxed and ‘chilled’ environment, you’ll feel as though you’re already sitting by the seaside. Vintage Alphabet is the perfect way to make education fun for your little ones. The vintage vibes and the way the alphabet has been drawn make it an easy match for any type of interior space making it easy to pair with a room you’ve already decorated. Put this mural up in your child’s nursery or playroom to create a learning space your kids will be eager to get to! If you suffer from the travel bug most of the year, Where in the World is the perfect wallpaper for you. Turning the globe into a typographic map creates a new fun way to pick your next destination and can even serve as another fun educational wallpaper for the kids. If becoming a mermaid has been your life long goal, Last Night will help you get one step closer. 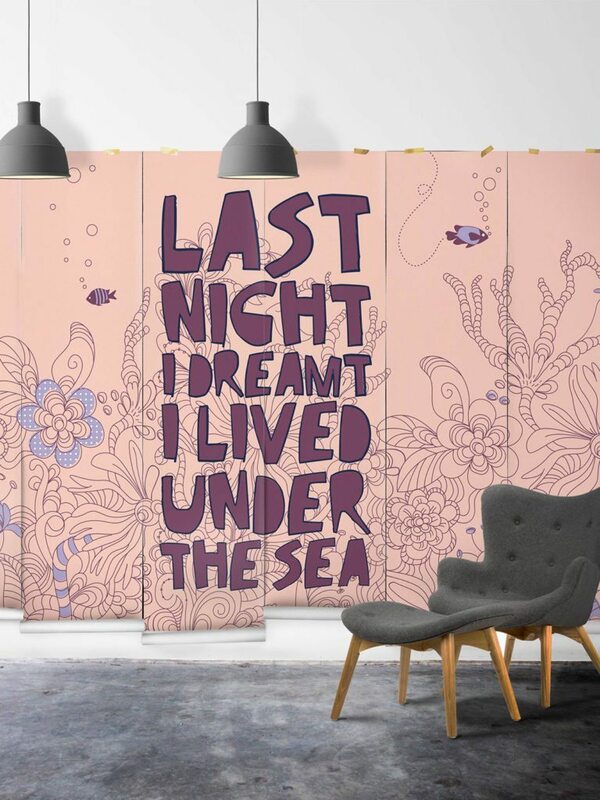 This dreamy and creative typography transports you to an underwater world and serves as the perfect inspiration in a study, kids room or living space as you dream about all the things left to explore under the sea. 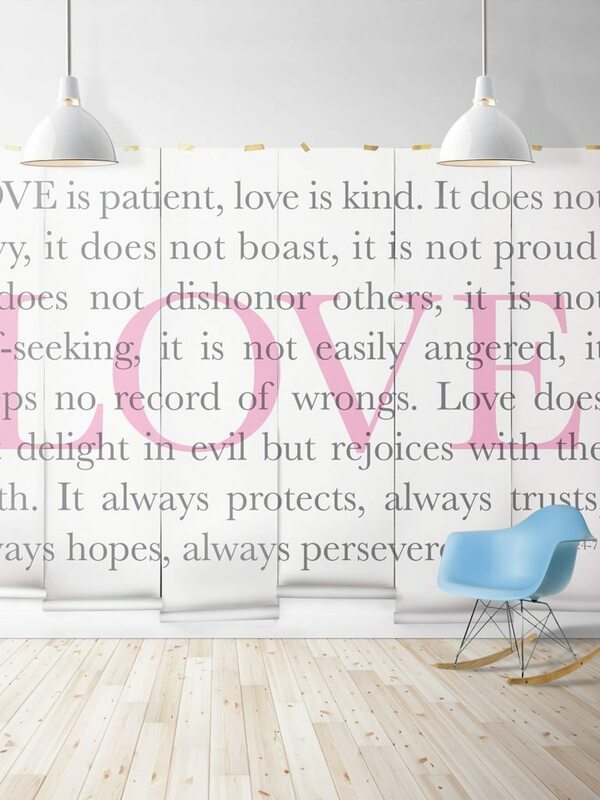 Typographic wallpapers are the perfect and easiest way to bring a new creative flare to any room. 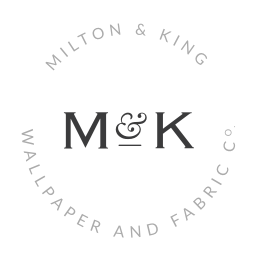 These are our top 5 typographic wallpapers – be sure to let us know which one you’ll be picking up!